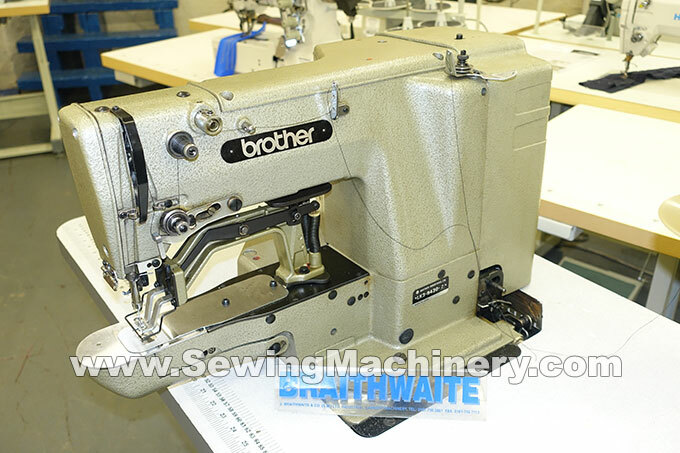 Brother LK3-B430-2 industrial lockstitch bar-tack sewing machine. 42 stitch tack pattern. Original Japanese made model assembled with UK made unit stand & wooden table top. In good condition, technician reconditioned & supplied with 3 months return to base used machine warranty.